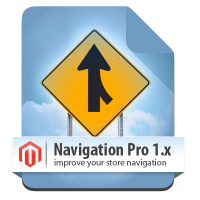 Everybody knows that the ease of navigation is very important for online stores. The more quickly the user will find the item that he is looking for, the more likely he will buy it at once. Accordingly the shopper’s cart must be on every page of the store. There are a lot of different ways to find the product in the online stores. And there are a lot of ways to enhance the usability of the store. Templates-Master team developed professional extensions to make the navigation process clear and successful. 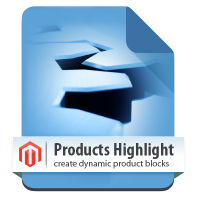 Please check our new Magento Attributes and Brands pages extension. It allows to create unlimited number of attribute landing pages and offers complete control over its design. With Products Highlight Extension you can filter products by category, price, attribute value, show best sellers and most viewed products without any need to edit your store code. 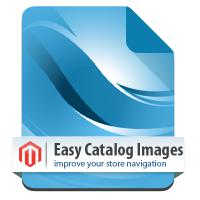 Easy Catalog Images extension allows you to set image size, number of categories to display, enable the image resize, etc. Also you can place category listing using Magento widget on any store page according to your requirements. Finally it will make the usability of store interface more user-friendly. 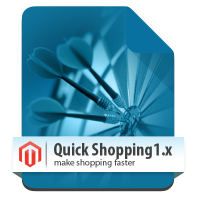 Free Magento plugin. Perfect solution for store with a lot of categories and subcategories. Helps you to place category listing block as grid. Fully controlled from admin interface. Make navigation at your store really easy. Allows you to chose navigation type, number of navigation levels,navigation columns count and levels per dropdown. Fast navigation through products using professional AJAX interface. Supports previous and next products links on products pages. Allows to improve internal links structure. 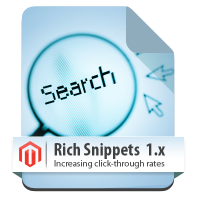 Easy and efficient way to highlight your store's products on search results pages. Support display of reviews, status and price on SERPs and much more. Provides also author snippets and breadcrumbs. Improve your store navigation. Provides various user-friendly menu types for your store. It allows you to improve your store navigation with unlimited number of sub-columns, additional links, banners and widgets. 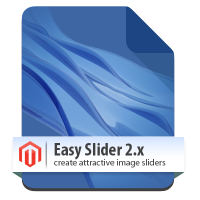 Creation of unlimited number of professional looking image sliders. Allows to display images slides with title and short description linked to any menu item. 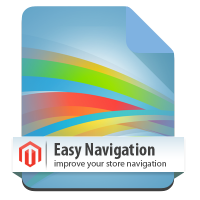 Place slider to any place of your store using magento slider widget, XML code and block code. Supports Nivo and Prototype sliders. Allows you to display custom products collections filtered by category, price, attribute value, show best sellers and most viewed products without editing the code of your store. Supports different product block types. Quick and easy navigation through the large store. 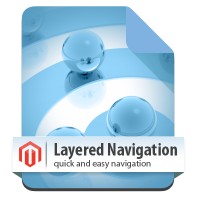 Improves overall look of layered navigation block, using layered navigation blocks styles.Makes your store more eye-catching, using different types of attribute options such as images attributes, checkboxes and drop down options attribute. Improve your cross-selling strategy. Create new products suggestion based on existing orders history. Provides 2 separate collections for products bought in same order and by same customer. Attributes and brands pages creation. The improvement of website navigation. Allows your customers find the brands and products they are looking for much faster. Great support - pure and simple Buy with confidence - you'll get solid service all the way. Many thanks! Estou muito impressionado com o serviço da Templates Master. São várias ferramentas para quem tem loja em Magento, agregando muitas facilidades e agradando os clientes. Parabéns! Really please with Templates master, i have been using their free F002 them for some time on a number of different stores and i cannot fault it. Nor can I fault there customers services and the support for a free product. Simple to use and adjust, great job guys! I've never been soooo satisfied as I have with these guys! I'm a cautious buyer with several bad experiences in the past. The themes & extensions looks good & functions seamlessly as desired. Their support is seriously TOP NOTCH: extremely responsive, quick turnaround time to perform a fix/upgrade, knowledgeable/friendly support, exceptional service. I echo the consensus of the large list of happy buyers. AAAA++++, nothing but the best complements. Thanks a million & keep up the great work! A+++ company! One of the best and most professional module creators around. Why? There modules are made of high quality and there support is amazing. They will fix every problem you have with there modules. Thanks! I purchased template from TM a while back and their support has been absolutely amazing. In one instance it wasn't even their issue but they still diagnosed the problem (something I had broken) and fixed it. For me, they are the true (Templates) Masters of service and delivery. Well done guys and Happy New Year. Absolutley first class service - I was worried as have no technical knowledge but wanted the one step checkout and they talked me through it - installed it and solved an extra issue I had with my checkout. AMAZING! thanks. Template - master's support team is just wonderful. really did fabulous job. i am enjoying a lot while working with them. they are man of words and never leave you in trouble. First choice to recommend. Thank you guys. Template master was a very easy way to create a fully functional Mobile website from our magento site. Staff was very helpful installed and guided us to a successful mobile site within a day. Thank you. I had some questions about this product and received immediate help even on Sunday in the early a.m. Thanks for providing superior customer service and a great product. I've worked with a few developers for Magento extensions and TemplatesMaster is by far the best company out there. Their software is well written and easy to install. If you have pre-sale or post-install questions their staff is responsive and courteous. I would 100% recommend them to a friend or business associate. I bought the firecheckout and it is one of my favorite extension. Very smooth and fine for customers. Also the support of templatesmaster is super. quick service and high skills of magento programming. We've been using the Templates Master Argento theme for about a year with a package of extensions. We were considering ending the monthly support but my recommendation is don't even think about it - these guys are incredible. We bought three more extensions in February to improve various functionality on our site but hadn't got round to installing them. The extensions are great but Templates Master service is absolutely astonishing. After I got in contact, not only did they install them but they full tested and checked everything, upgraded our current theme to the latest version and fixed a couple of minor styling issues that were caused by a previous developer's modifications to the stylesheet. I can't recommend them highly enough. The theme is great, the extensions are great and the service is absolutely amazing. Sigo a Templates Master a quase 2 anos e resolvi vir aqui hoje para dar meu testemunho. Possuo 12 extensões, entre outros e estou muito satisfeito com o suporte. Sempre me ajudaram no que precisei, até mesmo em tarefas que não tinham relação com os módulos. Tudo feito na base do entendimento e bom senso. Mesmo morando no Brasil, eu não tenho dificuldade em manter meu projeto no ar. Tenho total confiança no que fazem. As extensões deles são uma das melhores soluções para Magento. I highly recommend this company, its products and support team. They are prompt and efficient. Great job guys! These guys are really professionnal ! Price are affordable and work is done quickly and seriously. More important support is reliable in time and response is fast. Each time you buy an extension or a template they set it up for you and manage problems even if it occur 1 month after installation. I will work with us again. For sure ! Great Team!! I give them 10 Star review !!! All extensions are great but the Easy Banners are super good!!! We've now bought several extensions from 'the Masters' and are very, very happy with them. They've provided help and expertise with every issue I had to deal with. Even issues I've created myself. I can reccomend them to anyone! They deliver what they promise. Money well spent! Amazing service, I had a free template since earlier and bought six modules recently. Template Master Team installed all of them for me. They answered all my questions almost promptly. I even do not know in which country they are located but they were available on line by e-mail almost at any time. I let Template Master team install the module on my production site without being anxious. I have some free third party modules already, there is always a risk that the third party modules may come in conflict with each other. When you purchase module from Template Master they install it for you. You don’t have to worry about the conflicts. The six modules made my site very professional. I’m very happy with the service and the products and will buy some more soon. Five stars. Very very well impressed by their products and also about the after-sale service, 5/5 stars :) I have bought several extensions and one template from them, all of them are flawless and work exactly as advertised. Also we got updates for all the product that we've bought from TM. The developer with the best support ever seen. Great products, and if you need: the best support! They are dedicated and experts on what they do. Just one of the best Magento professionals around. Keep up the good work guys and thanks again! Very great customer service, quick, professional, very good support for templates. This is a first rate company devoted to the development of Magento extensions and themes. I have used their products and services for several years. They have consistently provided not only exceptional products but also reliable support. Kudos to TemplatesMaster. 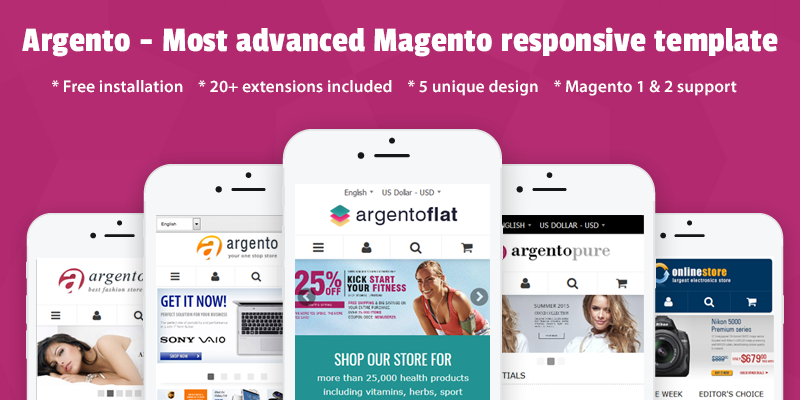 Templates Master is one of the most responsive and trustworthy companies providing product to support the Magento platform. Time and time again they have quickly responded with quality support to get us up and running without a hitch. We would not be where we are today without their expertise. Thanks guys! You can check out some of their great work at our site at http://www.alternacremation.com. Bought 2 extensions from Template-master didn't work for me 100% but they fixed them both extremely quickly, found another 2 I will be buying, keep up the good work!!! The template design is awesome and very user friendly. The service provided was outstanding, and they where very knowlegeable and quick to respond. I would recommed this template to anyone, I'm very pleased with the whole deal. Absolutely awesome checkout and support. Thank you from all at www.poppets.biz you went beyond the call of duty and we now have a great fast and efficient checkout driving many more sales! Highly recommend. As all new magento users do, i tried to upgrade my sites to the newer version and guess what, it broke all my sites. Not being a developer i got my isp to restore them as it was their magento scripts that broke them. I told my template provider, and he came to my rescue and got them all up and running again. I tried to tempt him with favours for saving our sites, but he would have none of that.....Little did he know that frankie finch is a dumb 25year old Blonde female thats won Miss UK. Top quality service - Amazing Extensions - Brilliant after sales care - Sorted everything out and more. Our store www.poppets.biz now scoring very high on google web page speed and the awesome One page firecheckout smoothly converts all our increased Sales. Great Job!! Thank you. Cant rate these guys highly enough. They installed the mod I purchased and integrated it with a number of third party extensions all free of charge in very good time. It was on a live server and I was worried we might have down time or lose sales, but it went completely smoothly. Best of all the extension works great and has already increased our sales and paid for itself many times over. ABSOLUTELY RECOMMENDABLE!!! I have never faced such a quick, friendly and helpful support ever before! If I have to check for a new template, TemplatesMaster will definitely be my first choice from now on! Bought a theme from Templates-Master and was very impressed with their support. We're new to Magento and they helped us a great deal, even with some non-Template related issues. And the response times are incredible fast! As a result of this, we'll probably go for their Fire-Checkout plugin as well, because we know any problems we have, they will solve it. Templates-Masters is highly reccomended. Great extension and more importantly there support is second to none, was really impressed with the speed and level of support I received, they fixed my problem and more. keep up the great work. Highly Recommended Template Master is great, their service is excellent and the prompt response to support questions is outstanding. I am currently using 2 themes and 2 extensions and will be purchasing many more, 5 stars! Great company. I'm using 6 modules of theirs across various sites. I've only ever had 1 or 2 incompatibilities, and every time their staff has been very quick and helpful. Highly recommended.